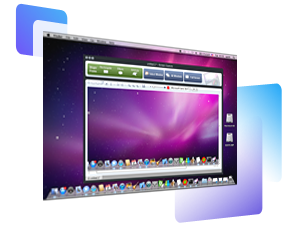 Ondesoft Screen Capture for Mac is currently the most professional and powerful screen grabbing utility running on Mac OS, by which you can easily take a screenshot on your Mac such as rectangle, ellipse, arbitrary shape, full screen, windows from any webpage or application and so on. A variety capture options allows you to grab a snapshot of exactly what you need: menu, full screen, a region, a window, all windows or a scrolling window . Scrolling Area Capture Function allows you to capture any scrolling window by just one click. The perfect tool to share everything on your desktop, ideal for graphic designers, bloggers, and even family members who just want to stay in touch. The easy-to-use interface allows you to see exactly what you’re doing and the moveable translucent window makes Ondesoft Screen Capture unobtrusive but always present when you need it. 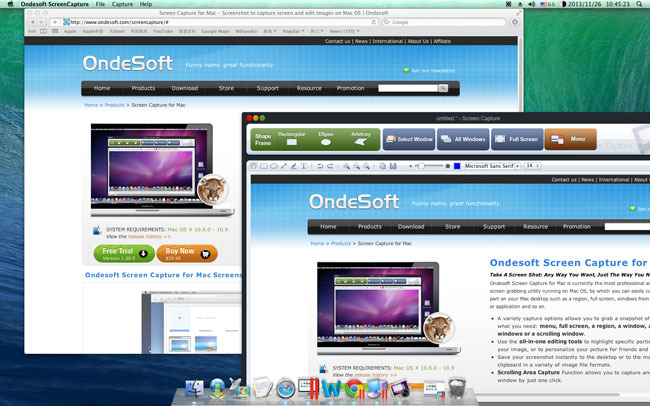 Editing your screen captures couldn’t be simpler with Ondesoft Screen Capture’s built-in editing tools. How you use your images is up to you: save your images directly to the desktop or copy them straight to the mac clipboard. Scrolling Area Capture allows you to select scrolling window by just one click. Grab a shot of your entire desktop or just every open window with one simple click. Or use the Rectangular and Elliptical Marquee Tools to snag a picture of just what you need. 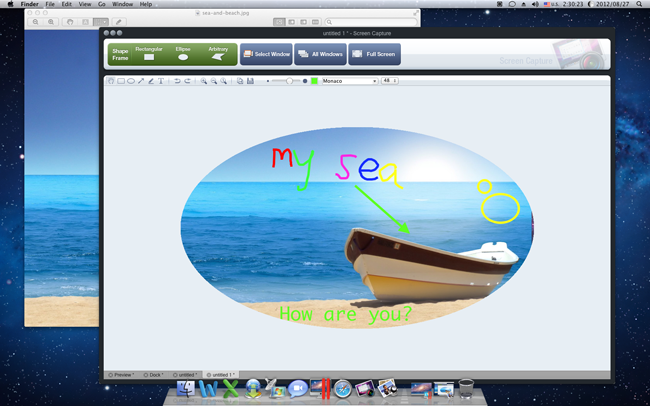 Ondesoft Screen Capture also included is the Arbitrary Snap Function, which allows you to create a shape that tailor suits your desired image. Set Hotkeys and make the fastest image capturing program even quicker. Set the Timed Screen Function to give you extra time to prepare your desktop before the screenshot is taken. Use the Screen Magnifier Window to ensure you grab precisely what you need and not a pixel more. 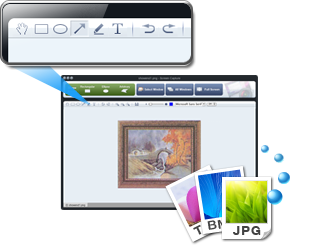 Use the same tools you would expect from a professional image editing program all within Ondesoft Screen Capture for Mac, including: the Grab Tool, Text Tools, the Brush Tool, Custom Shape Tools, and an easy to use Arrow Tool. Adjust the font size, brush size, and their colors just like in an expensive image editing program. Ondesoft Screen Capture saves your captured image in a wide variety of image formats, including PNG, BMP, TIFF, PPM, XBM, XPM, ICO, JPEG, JPG, and TIF. The easy to use interface displays all the important tools and options at the top of the window, making highly professional and customized screen shots simpler than ever to capture and create. 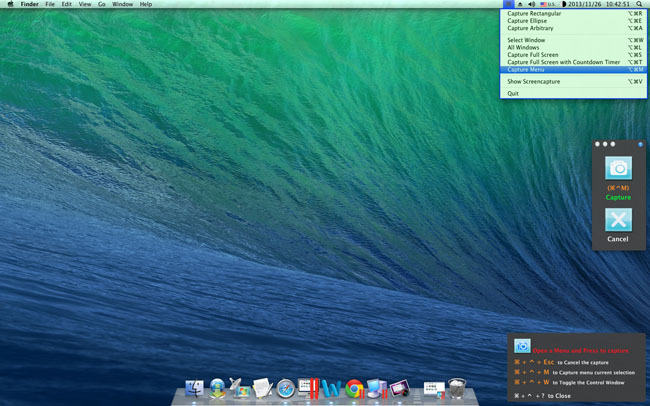 Multiple screenshots are organized simply and effectively at the bottom of the window with customizable names. Every screenshot is automatically saved as a thumbnail to make finding the picture you need later quick and easy. 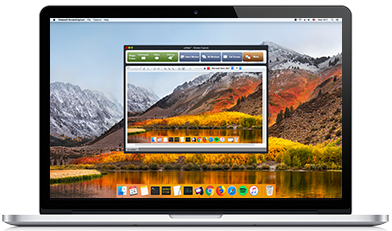 Options in the Preferences Panel allow even more customization of the Timed Screen Function, the Magnification Window, Launch Options, and many more aspects of the Ondesoft Screen Capture for Mac. 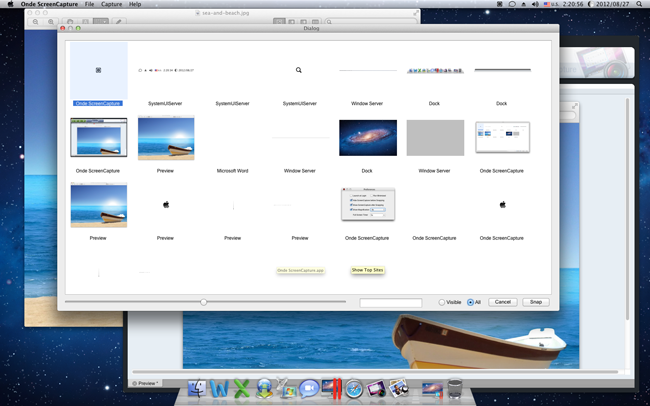 How to capture screenshot on Mac? How to grab and edit photo on Mac? How to use Image ripper rip images like imagefap on mac? How to Print Screenshot on Mac? 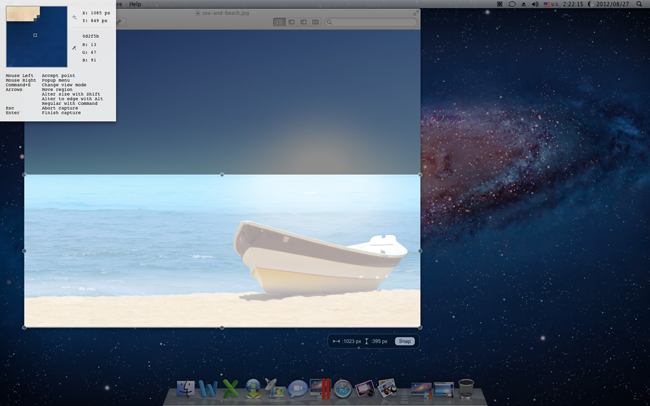 How to capture a rectangle screenshot on Mac? 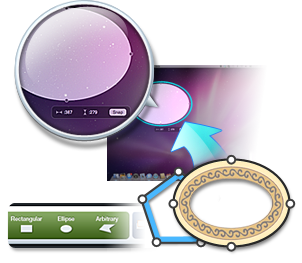 How to grab ellipse and edit screenshot on Mac? How to take screenshot of freehand region on Mac? How to capture active window on Mac? 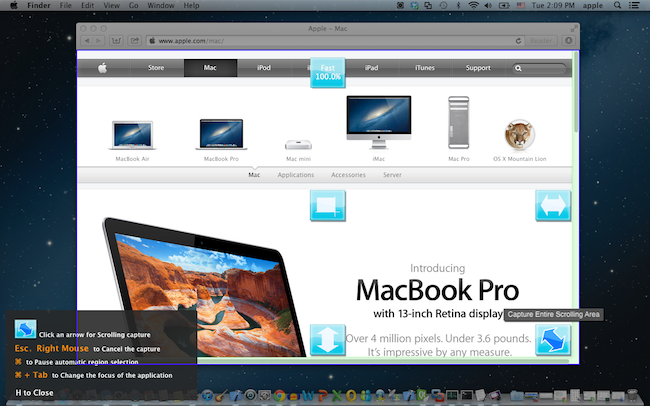 How to take full screen capture/screenshot on mac?